Just as my polo palace post I’m looking at this drop with the ultimate side eye wondering what Kaws has to do with Dior and all of the collaborations Kaws has been doing this year, and his plans to infiltrate the youth. which they are really sucking up I must say, then I look up and remember who is heading up Dior menswear. Kim Jones of Supreme x LV fame, which makes absolute sense that these guys would Collab. They’re both age mates, are hungry for the youths attention and love the energy that they bring to a brand. I wouldn’t even be surprised if it was in Kim’s contract or requirements or part of the reason he was hired to attract the kids and the youth. This capsule is very instagrammable and the bear is “yummy” in a word. 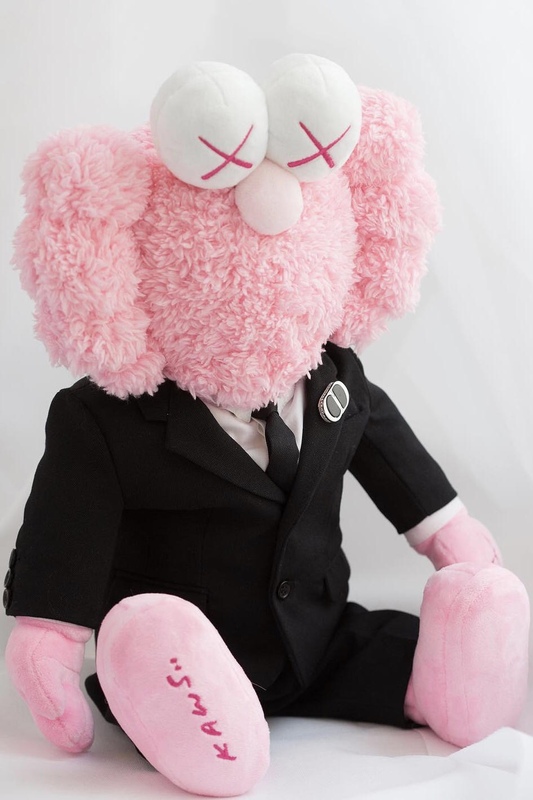 It’s something I actually want, I love plush toys like this unfortunately and I like the colour pink they used, that’s my whole reasoning I have no reason to ask myself cos I know the answer but what does this High fashion house have to do with such an artist. Now art and fashion go hand in hand, this particular collaboration is very specific to the hypebeast eco-sphere. So I like the sneakers and the bear which neither have nothing to do with each other. I look at them independently knowing Dior did their sneakers and Kaws always does this and there’s nothin more to it. I’d be lying if I said I got the capsule collection but I don’t. What I do get is, the font is really attractive to a younger demo, that tone of pink ranks high amongst teenagers and younger and t-shirts, jumpers, bombers and sweats are beloved by all people and are high on what we wear. It really doesn’t take someone like me to say they’re playing a game with us now, just takes someone like me to say I am not playing this game.